Dubai – 5 May 2018: Dubai Customs’ online trade development team organized its first meeting in cooperation with Dubai Customs partners. The team included representatives of Tariff and Origin Department, Project Delivery Department, DP World, JAFZA, DAFZA, Dubai South and Dubai Trade. Ahmed Al Kharoosi, Director of Tariff and Origin Department said the meeting is meant to support strategic plans implemented to boost economic growth and keep abreast of online trade breakthroughs and technologies. 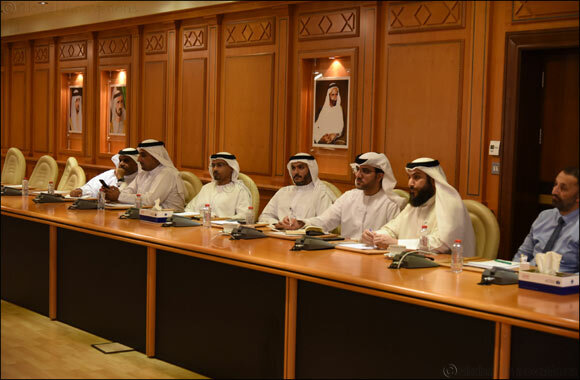 In the meeting, developing the online systems and the guidelines of this type of trade has been discussed, and the idea of supporting Dubai to become a global online trade portal through accelerating goods delivery and customs clearance was highlighted. Al Kharoosi pointed out that the project is managed by a highly specialized technical team from the Project Delivery Department in Dubai Customs. “We have put forth our next development agenda to develop an online trade strategy with the help of our partners. We will attract more companies using the trial applications of the online trade at this stage” Al Kharoosi added. Dubai Customs spares no effort to provide the best services and facilitations in support of online trade which is witnessing more and more growth and gaining much more popularity worldwide.